Bea True's Healing Story-Blog: Our thyroid disease film screens to a very enthusiastic crowd! Our thyroid disease film screens to a very enthusiastic crowd! The feedback from our premiere audience has been phenomenal! Truly awesome. The film and post-show chat is proving to be a really beautiful "forward moving" experience, lifting us out of the status quo "sick and tired mentality" (low depleting negative vibrations) and into a rich and motivated reality (high enriching positive vibrations). Audience members were chatting and sharing for over two hours at our premiere screening. As one gal pointed out, "Sharing is healing." That certainly felt true with this group screening party. If you would like us to screen at your venue or event, please be in touch. 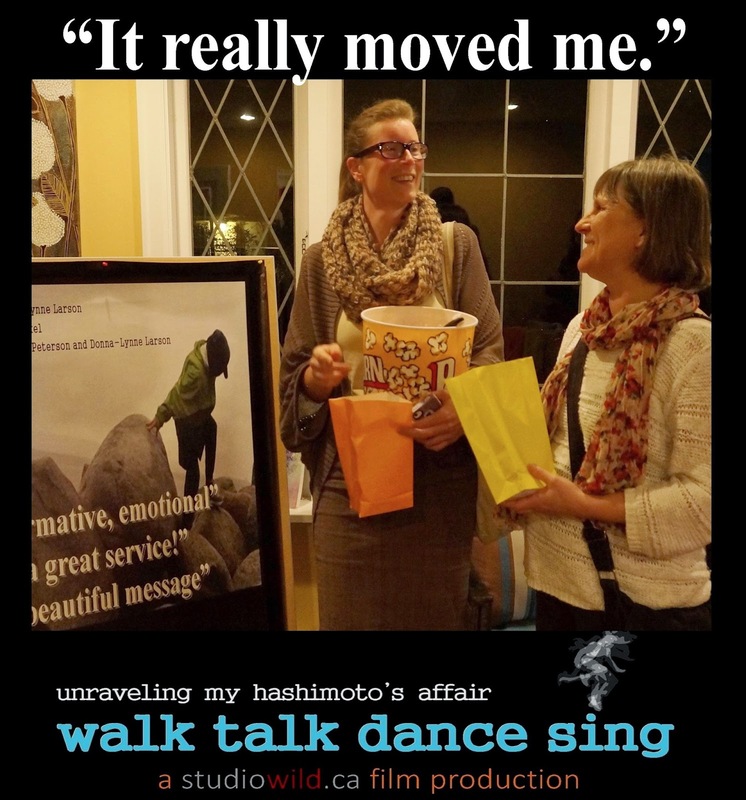 This "little Hashimoto's film is on a mission" and ...happy to share and evolve with your group! Thanks to all of you for rallying for "wellness!" "Many thanks for holding this special showing. I enjoyed the passionate discourse of other people's experiences - both on the film and in person. Over the years I've learned of many alternative theories about the cause of Hashimoto's and suggestions for treatment, but I've never come across anything like the introspective considerations your film highlighted. Looking inwards for both the root cause and the treatment is a truly wholistic approach that offers an uncommon explanation for the myriad factors and individual nuances of Hashimoto's. 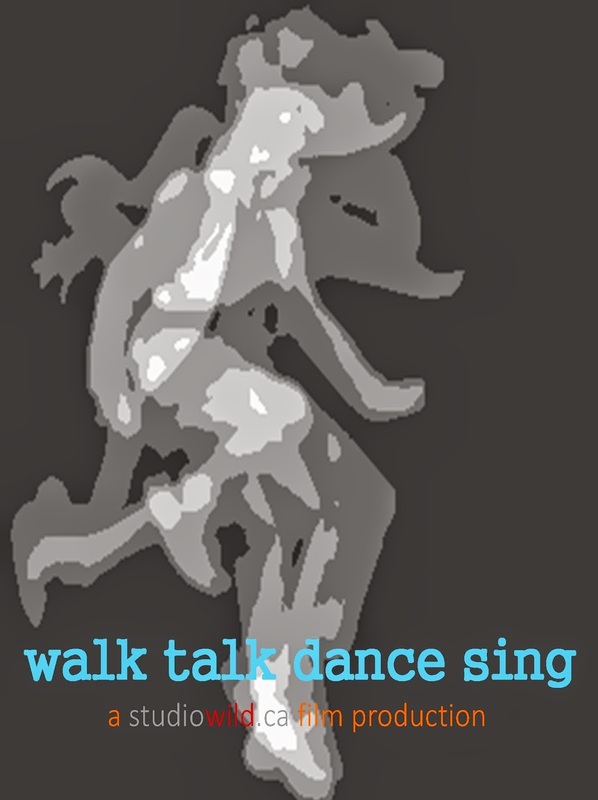 For me, Walk Talk Dance Sing beautifully depicted the real and desperate struggle of Hashimoto's sufferers while offering hope for emerging into a future of health and happiness." "It was a very thought-provoking film and I was engaged the entire time. I found something touching and inspiring in it, and I believe that's true for everyone who sees it. After seeing this film, I think Donna is ahead of her time; anyone can make a difference in this world and Donna has certainly done that with Walk Talk Dance Sing. It really moved me." 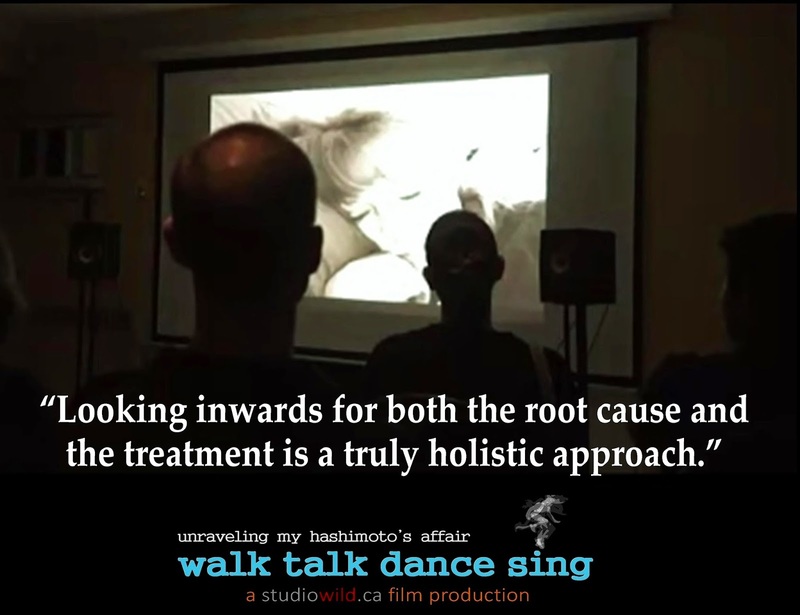 Photo credit: Audience members at "Walk Talk Dance Sing" premiere screening, Feb 27, 2015.